The twist this time is that it's a companion fare sale. 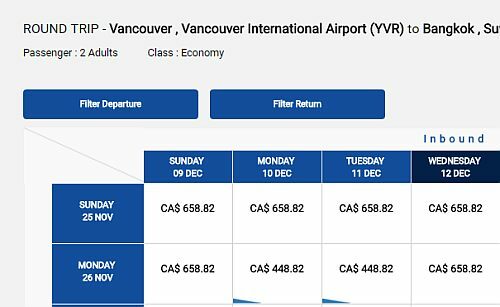 You are required to book 2 passengers at once for a total price of $899 CAD roundtrip (which works out to $450/person). Air China's flash sales have not really been reliable, especially in the last 4 or 5 months. However, their flash sale last week was actually pretty decent, and somewhat close to what they claimed would be available, so it's always tough to say what will happen. The number of available dates also varies a lot with their flash sales. Sometimes there are very, very few dates available, or they are only available for really long trips (3+ weeks) - to the point where marketing it as a flash sale is outright deception. This is the first time I've seen them offer the companion fare twist. I would also only consider these a good deal if the flights have relatively good layover times in Beijing. Some Air China flights have really long overnight layovers. It remains to be seen which flights they drop in price. NOTE: Air China usually releases theses fares around 11:55 PM PST. In other words, you would need to stay up late on the night of Sunday, September 23rd. 2. Scroll down to the bottom, where the 'Flight Search' box can be found. - I'm assuming it has to be 2 *Adult* passengers, but it's not clear at this point. - Use the flexible dates feature to try and find the $450 roundtrip dates. TIP: With similar flash sales, some people have had trouble using their credit card with the default payment option on Air China's website. The Air China website also allows you to choose Paypal as the credit card processor, and that seemed to work better. A Paypal account is not required. You can also try registering for an account on the Air China website ahead of time. It might make things faster/easier when it comes time to book. Update 9/24 - I do see a few to Bangkok, Thailand for $448 CAD roundtrip. I have yet to see any to Myanmar for this price. vancouver, yvr, flight deals, asia, east asia, china, guangzhou, can, bangkok, thailand, bkk, southeast asia, air china, shenyang, she, myanmar, yangon and rangoon. 8 Responses to "Vancouver to Myanmar or Thailand - $450 CAD roundtrip including taxes"
Anyone find any dates yet? I’m looking for November. Yvr to bkk! 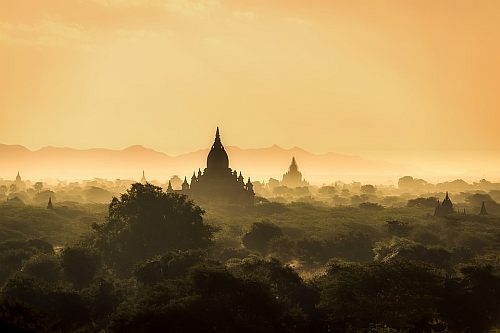 I have yet to see any for Myanmar. Thanks Chris, we were in Thailand this summer flew with ANA for only $500 round trip from Victoria and now it’s $450 from Vancouver, Great! Thank you Chris!!! We stayed up all night to get in on this flash sale, only to be met by disappointment (wouldn't let us book and then the sale seemingly ended). My partner ended up checking this morning and we were finally able to book Nov 19 to Dec 4. Hooray! Love your site and your efforts in hooking Vancouverites up with the best deals. No problem Nelly, glad you were able to finally book it! We are super excited that we were able to book 4 tickets to Thailand, Nov.19-Dec.10 for $458 per person. It was worth staying up. We chose the longer layover in Beijing on our return so we could sleep in a hotel room, instead of on the plane. We are wondering if we will need to apply for a temporary visa since we will need to leave the airport for the night. Do you know? You should qualify for the 24 hour 'transit without visa' (TWOV for short). My boyfriend and I booked this deal from Nov. 26 - Dec. 11. Very excited! Thanks YVR deals!